Kumarakom, with its greenery and beautiful natural landscapes, is certainly one of the most scenic towns in Kerala. 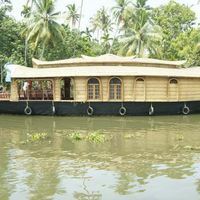 Situated along the banks of the enormous Vembanad Lake, Kumarakom, with its beautiful backwaters may seem quite similar to the renowned destination, Alleppey. But as you row along the narrow canals that pass through the city, you are sure to uncover some amazing surprises. Surrounded by wilderness, Kumarakom also gives you a great opportunity to observe the exotic forest flora and fauna, through activities like bird-watching, safaris, and hikes. With its stunning natural beauty, Kumarakom is indeed a great destination for family trips. 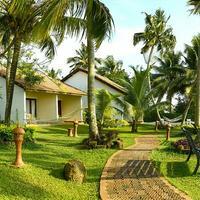 When it comes to accommodation, in Kumarakom, you can choose from different options available. If you are looking for a comfortable stay for your family, you can check in to one of the quaint, but luxurious lake resorts. 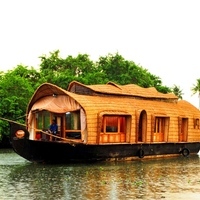 However, any visit to Kumarakom would be incomplete without a houseboat ride. An overnight stay in the charming houseboats is one of the best choices of romantic accommodation for honeymooning or vacationing couples. Houseboat stays are also popular with families, because of the unique experience and excellent service. 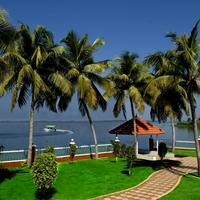 Finding affordable accommodation in Kumarakom is quite easy. 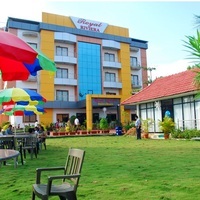 You can opt for cost-effective options such as budget hotels or local inns and homestays. 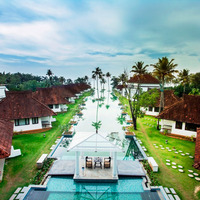 In Kumarakom, the Vembanad Lake area, Chempu, and South Kumarakom are among the ideal locales to consider when looking for a hotel or lodging. Kumarakom attracts quite a few tourists and it is better to be prepared with pre-booked accommodation when visiting. Use the pay@hotel feature by Clearrip to make your payments at the time of check-in itself. 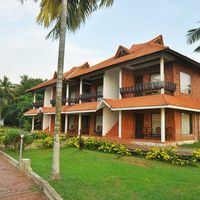 So don't miss out on our amazing deals on hotels in Kumarakom. Book your Kumarakom stay with Cleartrip now! 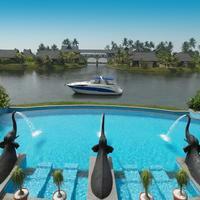 I'm looking for hotels in Kumarakom with swimming pool. Please suggest. 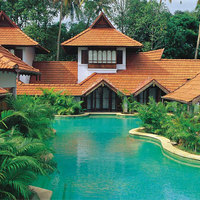 All the four and five-star hotels in Kumarakom have a well-maintained swimming pool. 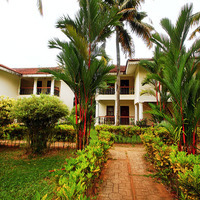 Kumarakom Heritage are some budget hotels in city that also have swimming pool. Could you suggest us few hotels in Kumarakom that has free parking facility? 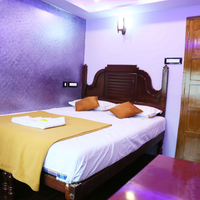 There are few hotels in Kumarakom that provides free parking facility Leisure Vacations Gold Field Lake Resort, Ashirwad Heritage Resorts, and Diamond Castle Deluxe Houseboats. 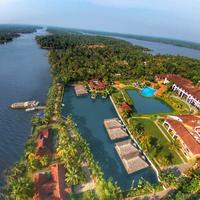 Can you suggest us hotels in Kumarakom that offers rooms under Rs. 1700/-? 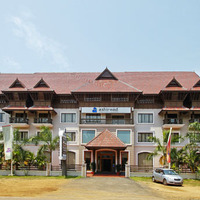 There are many hotels in Kumarakom that offers hotels under Rs. 1700/-. For best options you can check Dubai Hotel and Lake Palace Family Resort under 1700/-. Can you suggest me hotels that have pay@hotel options in Kumarakom? Most hotels in Kumarakom prefer that you pay some advance to book a room. However, there are some hotels that give you an option to pay@hotel like The Zuri Kumarakom, Lakesong Resort, and Backwater Ripples. Please suggest me 5 star hotels in Kumarakom. 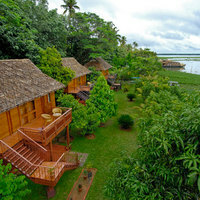 There are a lot of options for comfortable stay in Kumarakom. 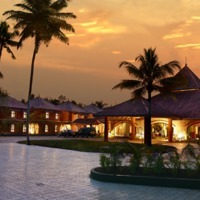 Check this hotels for comfortable stay Kumarakom Lake Resort, The Zuri Kumarakom, and Vivanta By Taj Kumarakom. Can you suggest few hotels with good front desk facility in Kumarakom? Yes, there are a lot of hotels in Kumarakom that has good front desk service available. 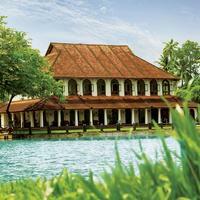 Check this hotels Kumarakom Lake Resort, The Zuri Kumarakom, and Vivanta By Taj Kumarakom.